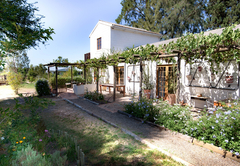 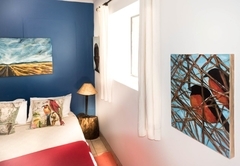 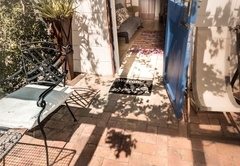 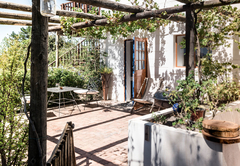 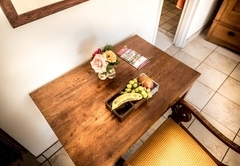 Boerfontein Garden Suite is a property providing self catering in Paarl for up to 2 guests visiting the Cape Winelands region. 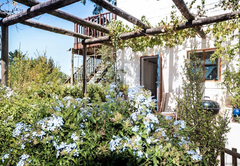 Situated in the scenic Perdeberg region, Boerfontein Garden Suite is surrounded by race horse breeding farms and within close driving distance to a few award winning wine farms. 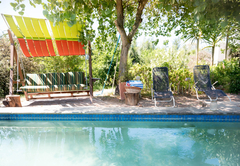 This is the perfect place for a laid back holiday. 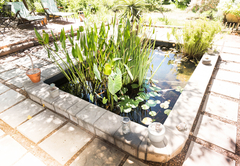 Guests can enjoy bird watching in the beautiful gardens and enjoy the views of the peaceful countryside. 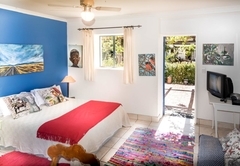 Perfectly suited for a couple, Boerfontein Garden Suite has one bedroom furnished with a double bed and an en-suite bathroom with a shower. 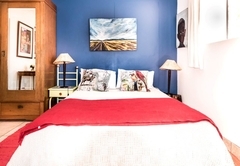 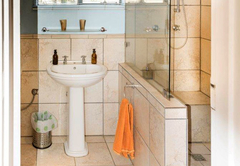 Bed linen and towels are provided as are complimentary toiletries. 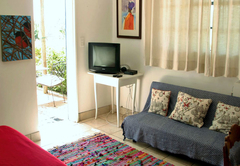 The unit has a fully equipped kitchen and is equipped with a TV and free Wi-Fi. 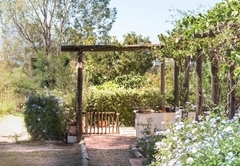 The suite leads out onto a private terrace and beyond that, to the gardens and the swimming pool. 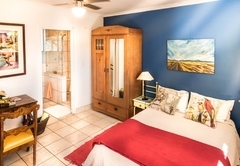 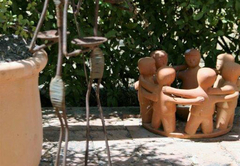 Response timeBoerfontein Garden Suite typically responds to requests in 5-10 minutes.